Of all the possible holidays in Australia, here are 4 experiences that are simply not to be missed. Living on the edge of the wilderness is something you should experience at least once in a lifetime. Of all holiday destinations, Australia is one of the few that can bring you a truly untouched natural environment. Broome is the gateway to Australia’s last wilderness region - the Kimberley in Australia’s North West. Once submerged under the sea, the rugged gorges of the Kimberley now form some of nature’s most majestic sculptures, cracked by rivers and waterfalls that crash down to a convoluted coastline. Venturing deep into the Kimberley by land is an adventure for the resilient traveller, but it’s easy to see the best of the region by sea and air, with an essential 4WD road trip to Cape Leveque thrown in. Scenic flights will take you over the unusual Horizontal Falls, so named because of the way the water rushes through the rock formations. You can also explore Purnululu National Park by air, including the famous beehive-shaped Bungle Bungles. To experience star studded nights in the wilderness, El Questro provides luxury homestead accommodation and quality camping. Broome itself has very good accommodation and lots to offer visitors. The old pearling town is proud of its multicultural, pioneering history and strong Aboriginal heritage. You can find out more about local indigenous culture on a trip to Cape Leveque on the Dampier Peninsula. If this really is a once-in-a-lifetime trip for you, consider a Kimberley cruise. The small, luxury cruise boats that sail along the coastline provide a high end comfortable adventure through stunning remote areas only accessible by water. Photography the magnificent waterfalls, swim in freshwater pools, visit the turtles of Montgomery Reef, and go fishing for dinner - cooked up by your onboard chef. These cruises are pricey, but life is also short - as holidays in Australia go, this is one to cherish! It goes without saying that the Great Barrier Reef is a must before you die! And what better way to experience it than a holiday on a fabulous, coral-fringed island resort? Whether you’re wanting a romantic retreat or one of the best family holidays Australia can give, the Whitsundays are a must. The 74 Whitsunday Islands lie off the coast of Queensland and are largely uninhabited and unspoilt. Sailing around the islands is a favourite way to see them; Airlie Beach on the mainland has everything from luxury eco tours to adventurous dive trips. The Whitsundays are all about the Reef, so if you stay there, you’ll almost certainly find yourself in the water, mesmerised by an astonishing marine world just under the surface. A fantastic option for families is Daydream Island Resort & Spa, which has one of the world’s largest human-made living coral reef lagoons. Here you can explore reef life without getting into the water - a great way for children to learn more about this delicate eco-system. As the name suggests, there’s an award-winning spa too! Another popular choice for families is Hamilton island, with a range of accommodation and plenty of activity, including sailing, golf and water sports, while Long Island is the one for a peaceful escape to hike and snorkel the days away. For a more exclusive experience, consider the idyllic Hayman Island, an exquisite private island resort. Popular with couples and honeymooners, it also caters to families. Despite being the only resort on a little island, there’s still plenty to do, including diving, yoga, golf and tennis. Note that Hayman Island and Daydream Island are currently closed for refurbishment and will be opening again in late 2018 or early 2019. No doubt there will be a rush to visit, so get in touch with your ATAS travel agent if you want to secure a booking. This iconic road trip takes you through one of the best holiday destinations Australia has to offer. There are so many photo opportunities that you’ll take days to complete it and collect some wonderful memories along the way. The famous coastal road in Victoria runs from Torquay to Allansford - a stretch of just over 240km. You can complete it by car or bike, or walk the trail from Apollo Bay to the 12 Apostles. Getting out of the car is definitely required in order to truly immerse yourself in the land and seascape. Geography had fun with this section of Australia’s coast, tucking into delightful sandy bays, rising up to breathtaking vantage points and breaking the surf with rugged rock formations. The 12 Apostles must be the most photographed scenes along the route - rock stacks up to 50m high created by erosion of the limestone cliffs. From here, it’s worth exploring the pretty, wooded hinterland and the 12 Apostles Gourmet Trail of local mouth-watering produce, from cheese to honey to yoghurt, as well as breweries and wineries. Adventures along the way include cage diving with fur seals, fishing charters, mountain biking, the Otway Fly zip-line, and of course surfing at world famous Bells Beach. All these activities can be enjoyed as much by novices as pros, and could be your chance to tick off a few bucket list achievements! Add to the mix a bunch of historic little towns, arts and crafts shopping, spa retreats, native wildlife … and this road trip really does live up to the cliche, something for everyone! In Australia, holidays mean getting back in touch with the great outdoors, and on the east coast of Tasmania is one of the country’s most beautiful eco experiences. Ideal for hikers and escapees from urban stress, the Bay of Fires provides those perfect secluded white beaches and crystal ocean we all dream of from our desks. Stretching from Binalong Bay to Eddystone Point, this is a conservation area that resists tourist traffic, attracting those who love to camp under the stars, take deep breaths of sea air and float with the fish - arguably a quintessential Aussie experience. Bird watchers and wildlife lovers will enjoy spotting native animals at dawn and dusk, including green rosellas, wombats, dolphins and possibly even a Tasmanian devil or two. Camping sites are situated in the southern and middle sections of the conservation area, and just outside the northern section. There are remote eco lodges outside Binalong Bay, an old fishing town that’s now a beachside community catering to visitors. From Binalong Bay, you can drive along a sealed road to The Gardens, and a gravel road takes you further on. But the best way to enjoy this beautiful area fully is on foot along the full 46km, either self-guided or on a more comfortable multi-day guided trail staying in tented and lodge accommodation along the way. Consider a walk dedicated to the stories of Aboriginal people and culture in the region. As you walk along the coastline, you can learn about how its original inhabitants lived in harmony with the environment, using its riches to eat, quench their thirst and find safe shelter. Small fires were used to communicate over distances, which led to the naming of the Bay by explorer Captain Tobias Furneaux who spotted the fires as he sailed past. 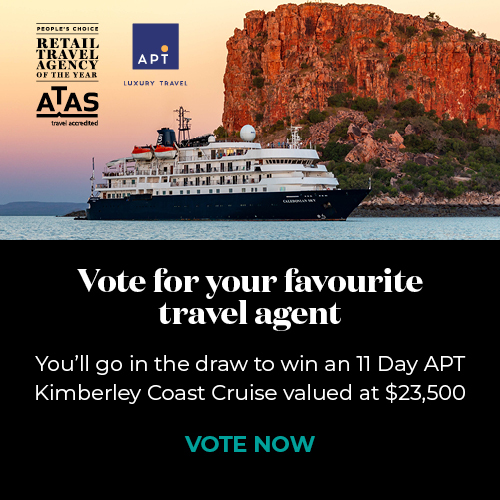 To organise an Australian holiday of a lifetime, chat to your local ATAS travel agent. They have the knowledge to help you complete your bucket list while staying in the best accommodation for your budget. Are you ready to plan a holiday in Australia? Find your local ATAS accredited travel agent here and ask them to find the best options and travel deals for you. From F1 to the French Open: Sports Travel on the Rise. Sporting events around the globe are BIG business, let's take a look at a few of the favs. Shop 1111a, Level 1 Highpoint S.C. Discover the World Marketing Pty. Ltd.